The proposition here is simple enough: Your watch face is the game. With just a tap, the watch face instantly turns into a game without the need to launch a separate app on your smartwatch. Facer calls it "ambient gaming," and they're touting it as a newfangled feature. It's a natural next step from something like ChronoSpin, a game that was meant to look like a watch face, built in the days of Android Wear. But Pebble users (*raising fist of solidarity) may know that watch face games aren't exactly new. Nevertheless, Facer's take on this seems entertaining. 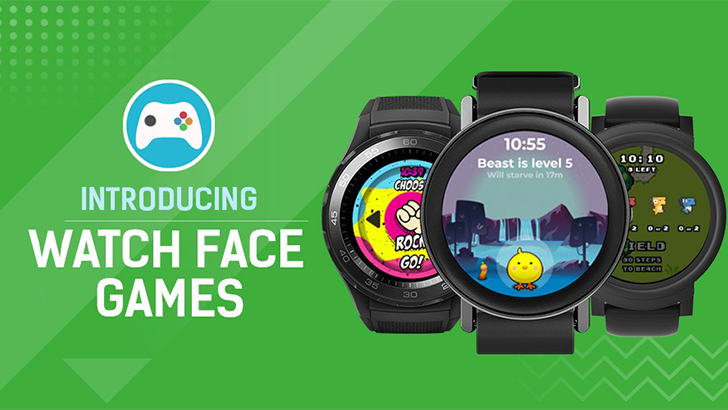 At launch there are six watch face games: three from Facer ("World Cup Shootout," "Your Beast Friend," and "DINO CATCHER") and three from other developers ("Rock, Paper and Scissors," "Strawberry," and "Jump Over"). Facer notes that these watch face games can take advantage of your smartwatch's sensors (e.g., heart rate sensor, GPS, step counter) so gameplay can be tied to things like the actual weather in your city or your heart rate. There is no mention of how this affects battery life, of course. This announcement builds on Facer's interactive watch faces, which launched last month. If you have a Wear OS or Tizen smartwatch and are fine trading some battery life for fun, download the Facer Watch Faces app using the widget below and check out the new watch face games.